Whether you’re ready for braces or just wish to discuss your different orthodontic treatment options, Dr. Hoang is here to help. The first visit is an opportunity for him to learn more about your treatment goals, reasons for seeking care, and long-term expectations. The following information will help you prepare for your first visit to our practice. During your first visit at our practice, Dr. Hoang will perform a full orthodontic evaluation, including diagnostic exams. Following this evaluation, he will create a written treatment plan and outline the different options available to you. Once you decide to begin treatment, all orthodontic treatment begin with the diagnostic records. These records include medical/dental history, a complete clinical examination, digital X-rays, impressions of upper and lower arches, and photos of the patient's face and smile. Our Records Fee is comprehensive (includes initial records, final records and all panorex and x-rays during the course of treatment). Our proposed treatment plans will incorporate both your personal goals, such as straight teeth or correcting an overbite, as well as Dr. Hoang’s diagnosis of your long-term orthodontic health needs. While the scope of care is always up to our patient, our goal is to create a treatment program that effectively addresses all your orthodontic needs. 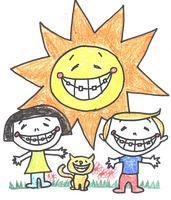 Incomplete treatment or faulty diagnosis can lead to future orthodontic problems requiring additional care. With precise diagnosis and correct treatment, we can help you achieve your dream smile. If braces are the right treatment option for your dental needs, Dr, Hoang will discuss what to expect when you first get braces and how best to prepare. 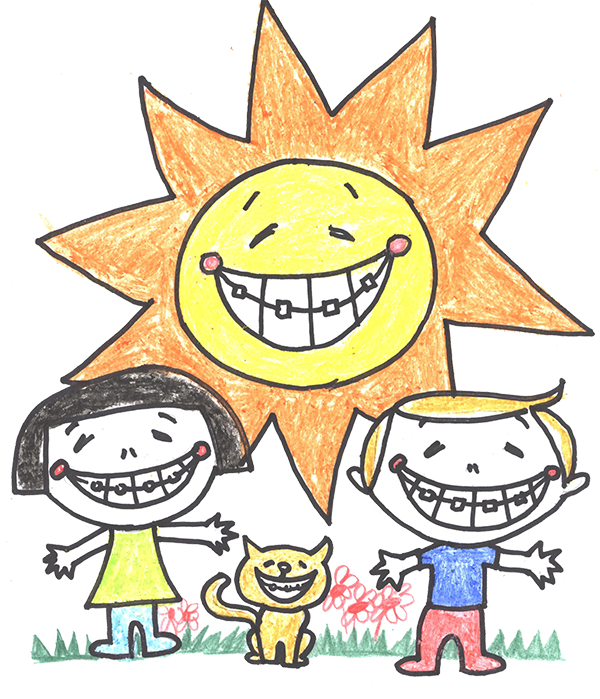 Braces can naturally cause some soreness because the teeth are being readjusted. We will make recommendations for how best to manage this pain. For some patients, alternative treatment such as Clear Correct may be a better option for their lifestyle needs. If you prefer an alternative treatment, Dr. Hoang will discuss the pros and cons of this alternative, including time line, cost and long-term results. Not every patient is a good candidate for orthodontic care. For example, depending on a patient’s age, orthodontic treatment may need to be delayed until appropriate skeletal growth or dental maturity occurs. If our orthodontist recommends delaying treatment, we will place your child on our observations or recall list for future evaluations. For many patients, a period of six months to one year is sufficient for necessary dental maturity and skeletal growth. As part of your treatment plan evaluation, we will also present you with detailed financial information regarding the cost and payment options. We welcome payment from many different insurance companies and have multiple payment plan choices; our goal is to keep orthodontics care affordable and accessible for all. As a prospective patient, we understands that you may have many questions and concerns about orthodontic care, ranging from treatment duration to payment options. We encourage you to ask as many questions as necessary during your first visit. We want all of our patients to feel comfortable and confident with their treatment choices. Your smile is special. Together, we can help make your smile even brighter.